Inter ministerial panel Telecom Commission will be meeting on February 17 in order to discuss mergers and acquisitions for the telecom sector. The final guidelines for the M&A policy will be discussed at the meeting. The same is the sector’s first ever M&A policy and has been pending for a long time. The Empowered Group of Ministers has recently approved M&A guidelines but it has looked for legitimate assessment concerning if the combining activity will result in sale of equity, thus defiling lock-in period guideline of telecom licence. According to the guidelines proposed the market share of the merged entity should not cross 50 percent. Telecom operators, which secured spectrum through the auctions held, might not need to pay extra cash to government for spectrum. On the other hand, if an organization procures a telecom operator that was allotted range at old rate of Rs. 1,658 crore, then it will pay the contrast between business rate and old rate to the authorities. This new guidelines will be making easier for operators for merger and acquisitions, once this comes into effect which all operators you think will be going in the way for mergers? Does it means lesser competition among operators and no tariff wars what you think ? 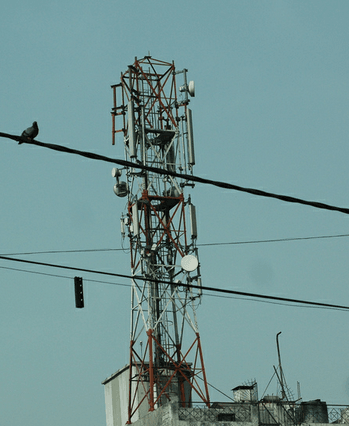 Recommendations on 800 Mhz base price by month-end: TRAI, What it Means to Operators? I would like to mention that hiking the tariffs to some extent is possible but after a point tariff hike will lead to considerable decreaae in minutes of usage which will lead to fall in revenues.